Deborah Evans, owner of Bagaduce Farm in Brooksville, Maine. 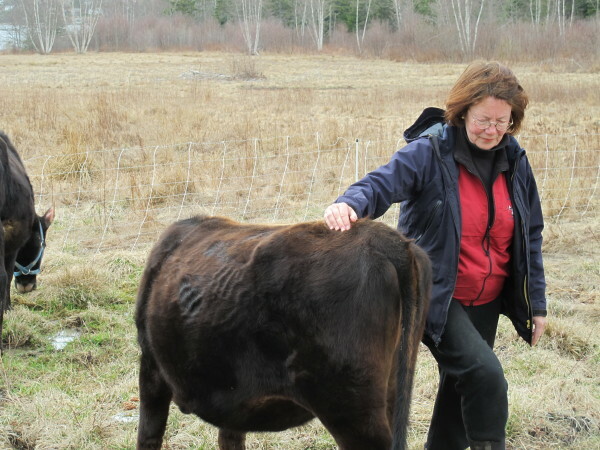 FORT KENT, Maine — As far as Sedgwick resident and locally sourced food advocate Deborah Evans is concerned, everyone should have the right to choose their own food, whether it’s from the farmer down the road or from the local supermarket. In 2010, when she said state and federal agencies passed laws curtailing what local farmers could sell directly to customers, she and a group of local food supporters in Hancock County drafted Maine’s first food sovereignty ordinance. The ordinance was approved at the annual Sedgwick town meeting that spring and the communities of Blue Hill, Brooksville and Penobscot quickly followed. Today, 16 Maine towns in seven counties have declared food sovereignty with local ordinances giving residents the right to produce, sell, purchase and consume local foods of their own choosing. Also adopting the food ordinance were Trenton, Hope, Appleton, Isle Au Haut, Plymouth, Livermore, Freedom, Moscow, Solon, Bingham, Brooklin and Alexander, according to Evans. Under the local ordinances, local food producers are exempt from state licensing and inspections governing the selling of food as long as the transactions are between the producers and the customers for home consumption or when the food is sold and consumed at community events such as church suppers. However, as far as the state is concerned, towns don’t have the authority to trump agriculture regulations with local ordinances. That was reconfirmed with a 2014 Maine Supreme Judicial Court decision, according to John Bott, spokesman for the Maine Department of Agriculture, Conservation and Forestry. Bott said the decision specified that local ordinances are valid only when not preempted by state law. When it comes to the buying and selling of food, state and federal food safety regulations trump local ordinances. Evans and other supporters of food sovereignty do acknowledge the ordinances are largely symbolic. What adoption of the food sovereignty ordinance did do, Schatz said, was let people know the value of farmers. The ordinances also remind people they have the right to exchange goods and services between each other, Evans said. Bott said his department is not anti-local food production, but does want to make sure all food sold in Maine is safe for the consumer and they are willing to work with them by, among other things, testing products in a state laboratory. “The department’s program provides startups with ‘fyi’ lab assistance for product testing so entrepreneurs will fully understand their product before they enter the full program and market,” he said. Evans said she hopes proposed legislation such as LD 783, “A Resolution, Proposing an Amendment to the Constitution of Maine To Establish a Right to Food,” sponsored by Rep. Craig Hickman of Winthrop, will help further codify rights to keep the state out of the local food production chain. Evans said she hopes the food sovereignty ordinances make people stop and think about where their food comes from and how they acquire it.